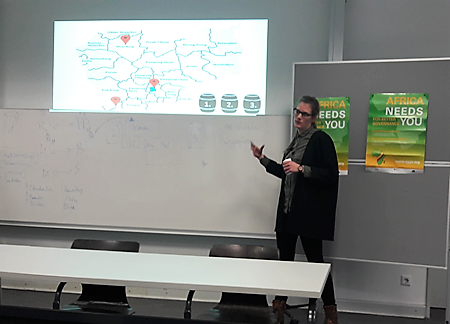 AGGN fellow Jacques Nyembe organised a workshop at the University of Applied Science in Osnebrück, in the frame of the MA studies program "Non-profit management" that offered students the possibility to exchange with practitioners on the operationalisation of good governance principles in development projects. 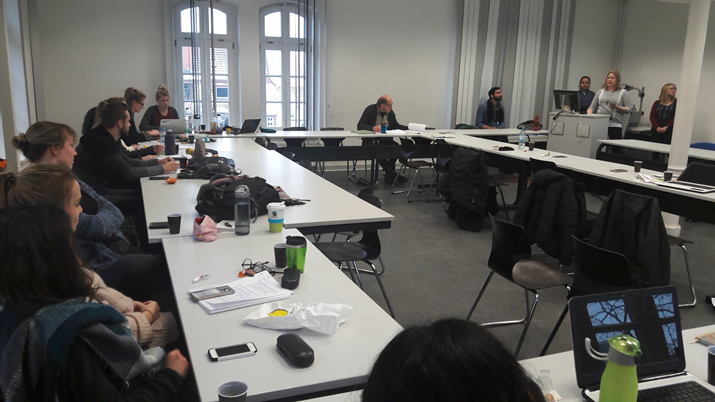 By using examplary cases from German development cooperation, students discussed with an expert from a consultancy agency the relation between state and civil society and how their relationship can contribute to more democratic governance on a regional, national as well as global level. The chosen case studies reached from the decentralisation and administrative reform programme in Cambodia to the establishment of a federal audit court in Tanzania to good governance in the mining sector in DRC. Around 20 students participated in the interactive session.